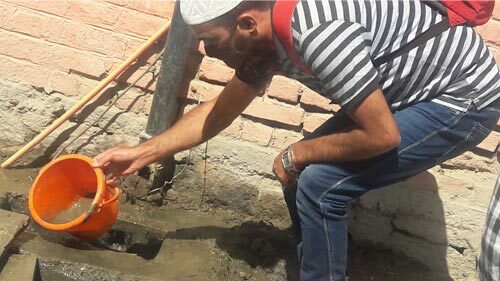 On 30 September 2017, Humanity Welfare organization Helpline in collaboration with Municipal committee Bijbehara carried out the cleanliness drive in sub district Hospital Bijbehara in district Anantnag. 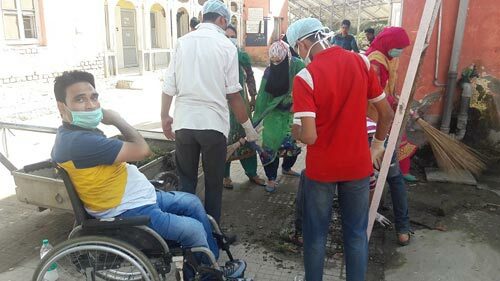 Volunteers & staff of Humanity welfare Organisation Helpline, Students and faculty of Zaiba Aapa Institute of Inclusive education, children of Government High School Demdolla Childline Team and sweepers of Municipal committee Bijbehara jointly carried out the cleanliness drive. All the wards, OPD rooms, Laboratories, Immunization rooms, corridors toilets were cleaned by the 70 volunteers in day long process. On conclusion the whole compound was weeded off and sweep off to zero dust. The main objective behind the drive was to clean the hospital to relieve patients from infection. 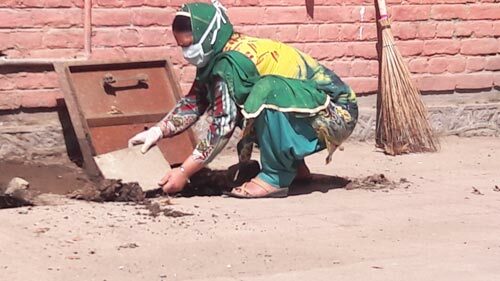 In addition to inculcate habit among youth and school going children to keep the places of public importance clean and tidy so that the society’s well being is maintained. The cleanliness drive was inaugurated by 5 deaf and mute boys in presence of Honorary chairman Humanity welfare organization Helpline NGO Bijbehara and Community health officer Sub District Hospital Bijbehara. The drive was started at 8.30 AM In the morning and ended at 4 PM. All the volunteers and participants were jolly and satisfied after cleaning the hospital. They said that we a have spared full day for the betterment of society and done a measurable work that gives us enough satisfaction. Chairman Helpline Bijbehara the organisor of the drive handed over the certificates of appreciation to all the participants. He thanked all the participants and volunteers and applauded their efforts to carry out such a big drive. Community Health officer Bijbehara arranged the refreshment for all the participants and interacted with all the participants. He was of the view that community need the volunteerism and sensitive citizens to keep it disease free and clean. Then hospitals will have less role to treat water and land borne disease.